JBL Professional by HARMAN and UK distributor Sound Technology Ltd are pleased to announce that the highly-anticipated JBL EON ONE all-in- one linear-array P.A. system is shipping this week. 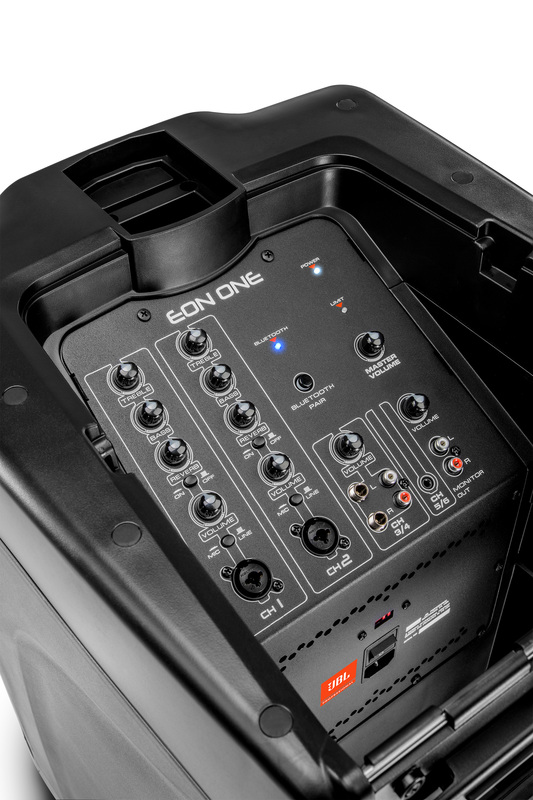 Created by the world leaders in loudspeaker and line array technology, the EON ONE combines the superior sound quality of a professional system with the convenience and streamlined look of a compact, column-style solution. Featuring Bluetooth ® audio, a six-channel mixer and a unique design that can be carried with one hand, EON ONE is ideal for gigging musicians and DJs, fitness studios, corporate environments and more. With a maximum SPL of 118 dB, the EON ONE provides detailed, distortion-free audio. An unobstructed 10” bass-reflex subwoofer delivers tight, accurate low-frequency response that is ideal for DJs and playing back recorded music. The high-frequency section features JBL’s patent-pending Directivity Control Geometry, which optimises the spacing and angles of the six two-inch high-frequency drivers. This creates extraordinarily even front-to- back coverage, ensuring that everyone in the listening area hears the sound accurately and consistently. As the first truly all-in- one linear-array P.A. system, the EON ONE is easy to carry with just one hand. 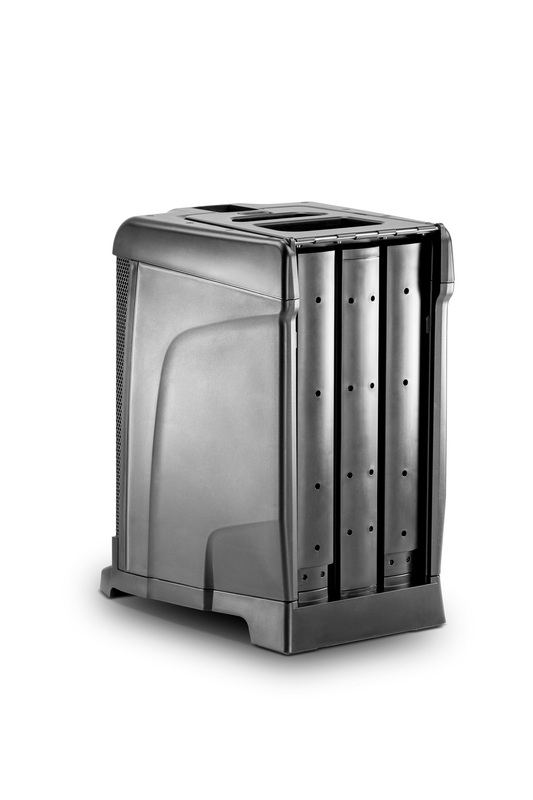 The high-frequency section and two spacers fit conveniently into the base unit, providing a streamlined package. Users can set up the system in seconds, choosing the right number of spacers to optimise the sound for each application. Two spacers provide a long throw for live performances and large crowds, while a single spacer is ideal for conferences, gyms and medium-sized groups. For small meetings and intimate events, users can place the high-frequency section directly atop the base unit. 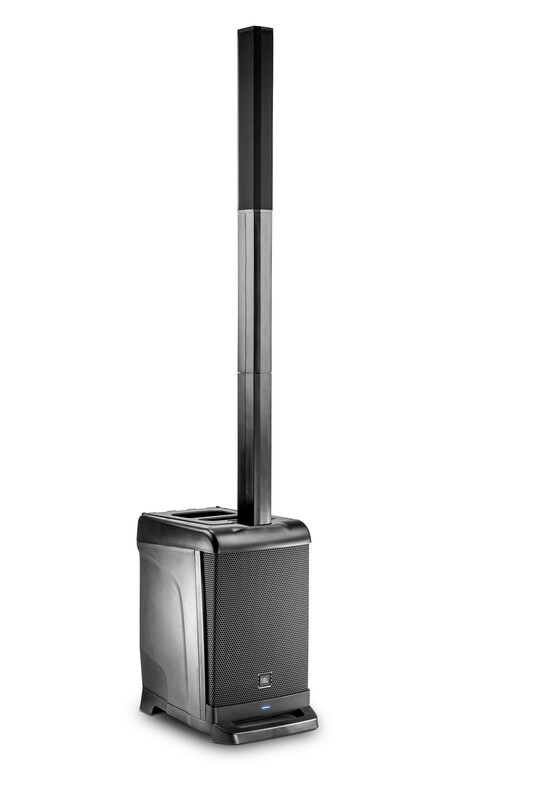 The JBL EON ONE all-in-one linear-array P.A. system is available this week priced at £799 RRP ex VAT. For more information please visit the JBL EON ONE microsite here.